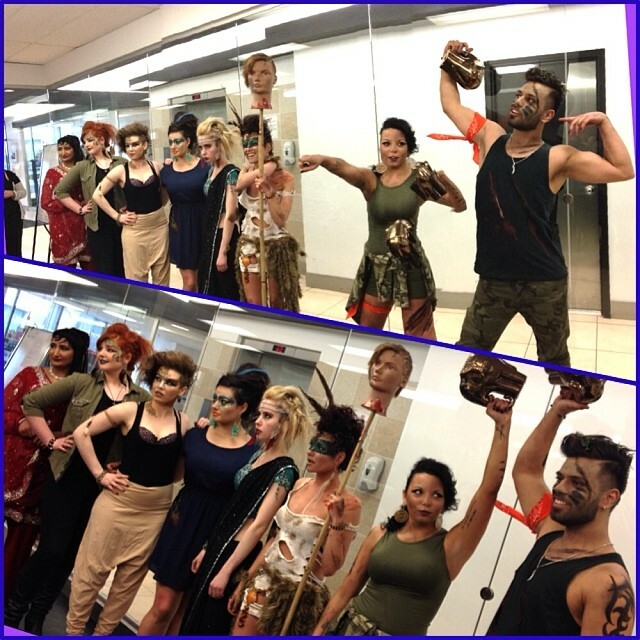 Last week, Calgary MC College students from the Esthetics and Hairstyling department went head-to-head in a hair, make-up and style competition. With a strict deadline of 3 hours to execute and complete their creative concept, 6 teams ‘rose up to the challenge of their rivals’ (brownie points if you know the song!) to create looks that showcased the “Survival of the Fittest” theme. 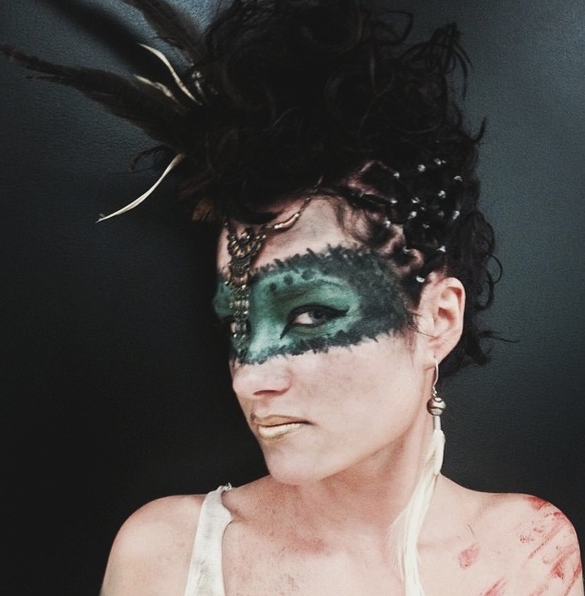 From looks that were inspired by the runways of New York Fashion Week to popular television series (Survivor and Walking Dead), students were judged based on the following criteria: creativity, originality, teamwork and the quality of make-up, hair and wardrobe styling, by the tribal council (the Calgary MC College administration team). With elements such as leopard print, camouflage, feathers and sparkling East Indian Sari’s, the 6 teams got the chance to capture their creativity in a professional photo shoot!